The Italian artist Filippino Lippi (1457 - 1504) is remembered with a diminutive to distinguish him from his father, the famous painter Filippo Lippi. Filippino followed his father while he was working. He met several pupils of Fra Filippo, including Sandro Botticelli. 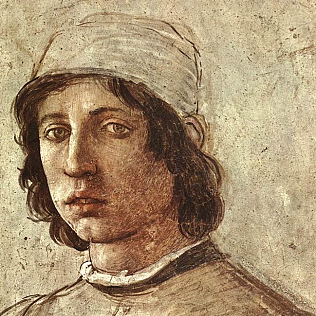 Filippino became pupil of Botticelli around 1472. The young Lippi understood deeply Botticelli\'s style. Between 1488 and 1492, Lippi was in Rome: here he studied classical and contemporary art, enriching his style. Filippino Lippi\'s art marks the transition from Renaissance forms to Mannerism. He painted elongated figures with exaggerated expressions: these are elements that will be the basis of Mannerism. Lippi experienced a rich brushstroke, with a visible touch, which later influenced other artists. At the Uffizi Gallery there are some works by Filippino. Among these, we recall the Pala degli Otto, a Self Portrait, some portraits, the Adoration of the Child, St. Jerome.